At the bottom. 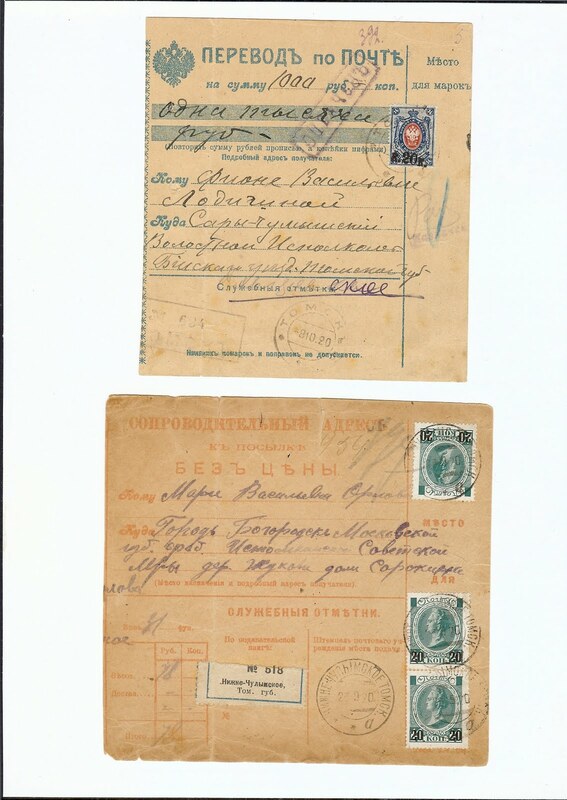 Parcel Card used at Nizhne-Chulimskoe Tomsk 23 9 20, charged at 78 roubles. 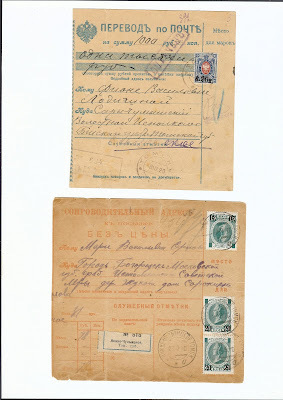 On the reverse, three Imperial Arms kopeck stamps revalued from 18 kopecks to 18 roubles; on the front, 3 invalidated Romanov 20 / 14 kop stamps pressed into use as Postmaster Provisionals and revalued to 3 x 20 roubles, thus exactly completing the 78 rouble charge. Click on the image to see it more clearly; click on the magnifier on your screen to enlarge it.